Opened in 2004, The Alotian Club is ranked No. 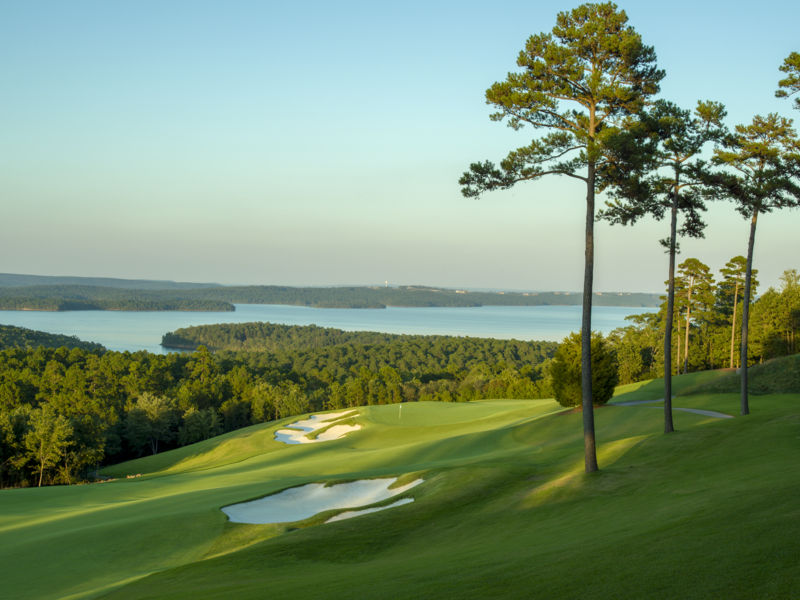 31 on Golf Digest’s biennial ranking of “America’s 100 Greatest Golf Courses.” The course was built by Little Rock businessman Warren Stephens and was identified by Golf Digest as the best new private course in the country in 2005. Renowned golf architect Tom Fazio designed the course, which measures 7,480 yards from the championship tees. The course plays 6,780 yards from member tees and 5,385 yards from forward tees. The course’s signature trait is elevation change, with the most dramatic coming at the sixth hole with a 100-foot drop from the tee to green. The Alotian Club hosted the 111th Western Amateur in 2013. Great venues have highlighted the competition since its inception in 1997. After Bay Hill, the Arnold Palmer Cup was next contested in Scotland in 1998 on the Old and New Courses at St. Andrews. In subsequent years the matches have been played at such historic venues as The Honors Course, Royal Royal Liverpool, Baltusrol, Doonbeg, Cassique, Ballybunion, Whistling Straits-The Irish, Prestwick, Caves Valley, Glasgow Golf Club Gailes Links, Cherry Hills, Royal Portrush, The Stanwich Club, Royal Country Down, Wilmington, Walton Heath, Rich Harvest Farms, Formby, Atlanta Athletic Club, and Evian Resort Golf Club. The Arnold Palmer Cup will be staged at The Alotian Club in 2019, Lahinch Golf Club in 2020, and return to Rich Harvest Farms in 2021.